Chihuahuas are popular breeds and are considered adoptable at many shelters. However, Chihuahuas are a very popular breed among pet hoarders. When authorities and animal advocates discover someone hoarding Chihuahuas in filthy conditions, local shelters may overflow with the rescued animals. General dog demeanor. How does the Chihuahua behave when you approach her? Is she frightened, yappy or confident? Spending some time with your potential new best friend will let you know whether you're a good match. Family dog? If you have a family, it's best to bring your family with you when considering adoption. Even though kids might want to adopt every possible dog (and that can be a nuisance!) it's important to make pet adoption a family decision. Chihuahuas are often one-person animals, meaning they cling to the person that feeds and cares for them. It's important that they interact pleasantly with all family members. If you're in a serious relationship and are considering children in the future, it might help to bring a young child (such as a nephew) with you while you're evaluating a dog. Dog history. Ask the shelter about the history of the dog. Shelters understand that it's important to be honest about a dog's past and its history. 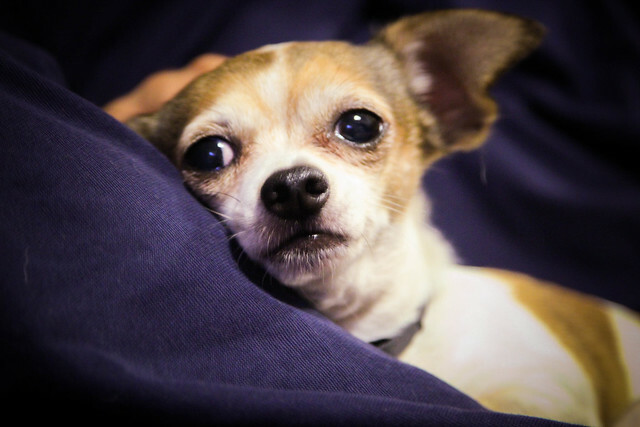 Some Chihuahuas end up in shelters because an elderly owner has passed away and no one will take the dog. Others are there because of a hoarder situation and will require more care and training. Speak with the shelter representatives about the dog's past--has he been abused? Has he received his shots? What was his previous owner like? If you aren't sure about your compatibility with a specific Chihuahua, you are always welcome to visit the shelter again. Bringing a friend or family member may help you more objectively evaluate the situation. Compatible pets and owners make for lifetime friends--so adopt with compassion.